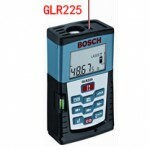 This Bosch GLL3-80 is one amazing leveling instrument. This 360 Degree leveler gives you options to level the surrounding stuff at 3 levels (Vertical, Horizontal and Space), each on the 90 degree from each other. 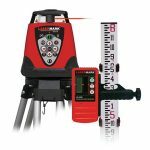 This leveler is one comprehensive leveler and aligner without using a rotating motor, which makes it little easier to use. The three axes laser is itself an advantage, which can actually cover 360 degree of surface. 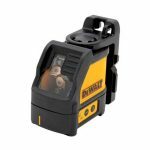 It is accurate up to ¼ inch at up to 65 feet, which is quite bit of accuracy in this price of laser leveler. Wall mount which comes with the laser is also an added advantage, which helps you put this things anywhere with a support. 4 AA batteries help it work without the use of any power supply nearby. Bright laser beam helps make work easier. The laser beam is so bright that you can see it in the day light as well as in the night. The speaker tells you when the laser is not straight enough or not level. This is a good option to work with. It’s really easy to use. Only one button operation makes it easy and even a layman can use it. The price is one of the disadvantage here. It is expensive but with this kind of accuracy and efficiency and options, you have to pay out some cash. It is a bit bulky, which is one negative point, when you are talking about the portable lasers. Some of the engineers are of the opinion that this thing should not be used for critical jobs as it is not pin accurate. The accuracy does have some question marks on it. Warranty does not cover the calibration, so it may be very expensive to have it calibrated or even damaged. 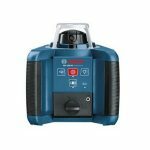 One of the best thing about this laser leveler is that it is a 360 degree leveler. You can use the 3 axis to make sure that all the planes are on the same level. It simplifies the process that everything is in the perfect position and is square, which is important while doing plumbing and other stuff like that. It is one of the most precise laser beams on the market. You work on different projects which requires leveling from a laser, and you will get to know that this kind of preciseness is not provided by any of its competitors in the market. One important thing which make these kind of things more sellable is the beam power of the laser. 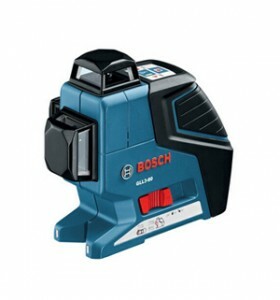 Bosch GLL3-80 has a very bright beam which can be seen in the dark room and even in the sunlight as well. Self-leveling feature also is quite accurate, if not perfect. The stand is really helpful. You can make the laser stand where you want through the tripod mount/ stand and do the leveling. One of the features that some people would like and others would not, is the AA battery for the usage. It is portable so it uses batteries to work on and batteries are easily available in the market. Some people are of the opinion that they should have gone for a rechargeable battery, but the product is available in the battery option only. The product comes with a Padded case for the storage. It is quite a handy case which is easy to carry and the pads inside would not let the glass break. These kind of gadgets are not easy to use but to my surprise, this product is amazingly easy to use. It has clear instructions and a person like me (who is not into technology and has no idea about these gadgets) can use it with relative ease. The buttons are simple and easy to use. 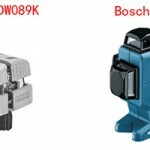 Bosch has made it really simple by providing an easy to use instruction manual with this product. The instructions on the manual are so simple that a kid can follow those easily. You cannot get the accuracy of a 360 degree laser in this price in the market. The price of the product is affordable. 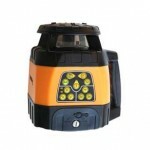 The word is, If you are going for a Laser leveling machine, you should go for this one, Period. On top of all the amazing features this product is giving, there is a 3 years Bosch Warranty as well, which makes it even more purchasable. This laser is worth every penny and I would recommend it to all the users, be it a professional or for a person who is looking to do a simple home project. 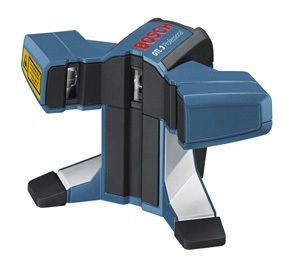 Click here to purchase Bosch GLL3 – 80 on Amazon!